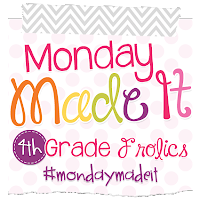 I am linking up with my sweet friend Tara from 4th Grade Frolics today for her awesome Monday Made it! I wanted to share with you how to make a DIY lightbox! 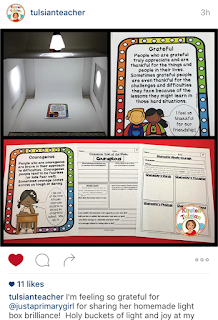 I have seen lightboxes that are hundreds of dollars. I don't have that kind of money laying around. If I did, I would be buying clothes, not a box. Also, I needed a bigger box. I have binders that I wanted to share and that box was too small to open up inside. I figured there had to be a better way!!!! This light box cost me $4 for the first one. It will cost you from scratch with needing lamps about $18. I had most everything already in my house. You likely have a few of these items in your home too. Most everything can be bought at dollar tree. 4 foam boards from dollar tree. Parchment paper (some people use tissue paper,but I like parchment because my lamps can touch it and it's not going to catch on fire! One piece of floppy white poster board. You will need 4 of these boards! You will cut a large square on two of the boards. Then, tape on your parchment paper. As you can see, I had to double it up because the hole is so big. Then, with your dollar tree packing tape, tape the sides together. I didn't tape it too much because I want to be able to easily accordion file fold it when it is not in use. Then, I slide in a piece of foam on the bottom. After that, I slide the poster board in the back. You want to do this so that when you are shooting, you don't see the seam. I use clamps to hold the poster board, (dollar tree)but if you have binder clips - that will work too. Just clamp the poster board to the top. I put a piece on top too, but it isn't needed. Neither is the aluminum foil. I use it to bounce light sometime, but when I edit my picture using the camera app, I don't need it. Then, add your three lamps! You can easily fold it - see? It lays flat!!!! This one lays right behind my nightstand in case I need to shoot something quickly and my bedroom windows are open for natural light! I use three lamps. One on each side of the paper, and then one up front. Here is the second version. I use this most often. It holds all of my lamps, clamps, poster boards, tripod etc, so I love it! This is what my set-up looks like! I can do this with all the other lights turned out - I feel like it actually works better when the only lights on are the ones in front of my object I am shooting. Here is what it looks like all sitting inside. I pop the lid on, and tuck it into my son's closet! Here are some photos to show you before and after, and also so you can see some pictures that I have taken since making this! This photo is just using my kitchen table with the lights on - on top of a posterboard. Looks bright - right? This is using the lightbox - when I only had one lamp!!!!! Here is a photo with an app marketing with it. Here are two friends that also used my lamp tutorial from periscope. 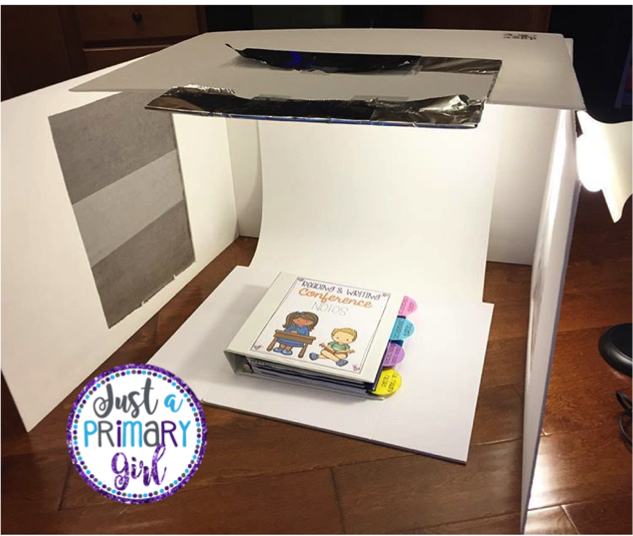 My guided reading cliff notes pack was shot in my diy lightbox!! That is my only made it this week. I will try to make something special for next week using my Target dollar spot finds!!! Okay...now I must make one of these. Aren't you crafty?! Thanks for sharing and for saving me some money! Wow! What a difference the light box makes!! I love the pictures. Thanks for the post! Visit me at PJ Jots! Hey my sweet, fab, wonderful friend!!!! This is amazing!!! I am going to make one!!! Soon!!! So if I do the one in the rubbermaid tub do I still need all the other things? That was a tub thing right? Thank you for linking up!!!! HUGS!! Great idea! I really need to do something about my sad pictures! This is wonderful, and the timing is perfect! Thanks so much for sharing! Thank you so much for sharing this! 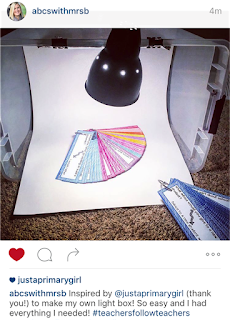 I definitely need to make one of these as many of my photos could use some help. This is pretty clever!!!! Thanks for sharing!